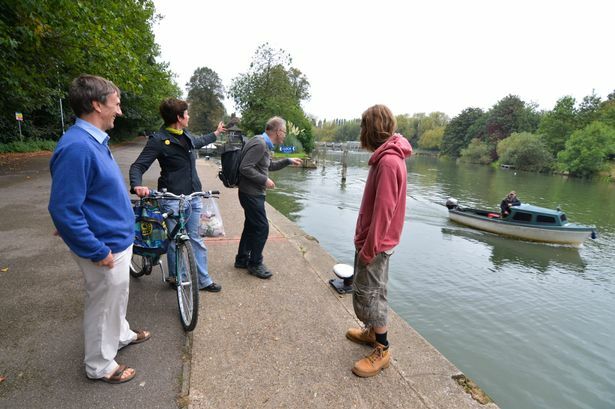 Members of Reading Sustainability Group met at Caversham weir on Saturday in an open meeting where members of the public could see the work they did. The group wants to establish a Sustainability Centre to demonstrate several ecological, environmental and sustainable themes. The weir is where it plans to harness the power of the Thames to produce hydroelectrity. Members aim to encourage responsible use of resources such as energy, food and water. It promotes greater use of renewable energy technologies and wants residents to see how to better protect and improve the environment and reduce their own energy and water use. It is hoped that the hydro scheme at the weir will not only generate the energy needed to power the centre but also help fund it.